Ivanti Service Manager, powered by HEAT, is the most affordable, flexible and complete cloud-optimized ITSM solution available. Automate workflows, eliminating costly manual processes while making your business more efficient, compliant, and secure. Whether you’re looking for an IT help desk/support ticket solution or need to perform more advanced ITIL service management processes, the Ivanti Service Manager solution can easily scale and adapt to meet your specific business needs. 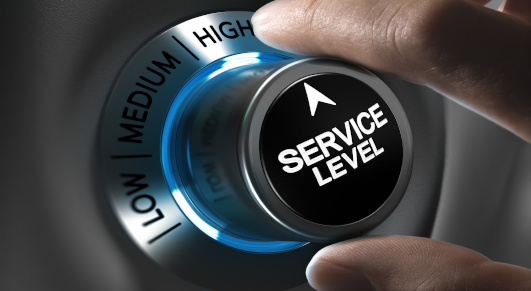 Service management solutions should be an enabler, not a barrier, to delivering great service. IT needs a cost-effective platform that is easy to implement, manage, and easy to configure to meet the needs of the business. Ivanti Service Manager is a powerful solution which can integrate with other systems, however, Ivanti can deliver an end to service delivery method using it’s unified IT solutions for managing, tracking and controlling IT services. Record routing and resolution, automate changes and more from a highly scalable easy to integrate solution. Throughout my career, I have worked with many different organizations which all seem to have one thing in common. IT woes. IT is a bad word. IT is not the trusted source. Lots of Shadow IT and all the hard-working IT professionals seem to get blamed for having to deal with solutions that simply are not able to adapt to the fast-paced, always changing, digital world we now live in. Often we see solutions that require a professional coder, which is costly, therefore innovation does not happen. With Ivanti Service Management, IT departments can keep ahead of the curve while providing a great experience for end-users, and become that trusted source. Ivanti Service Management makes it easy to own because of its low cost of ownership and ROI. ISM is hosted on AWS, which can be on-premise or hosted in a Datacenter of your choice, including Microsoft Azure. It is also provided, concurrent or fixed, licensing. With Ivanti Software, you will be partnering with a company that can provide a full solution set for delivering results to businesses of any type. ISM is a codeless Web platform, which allows business to take advantage of making quick changes as needed, without having to undergo very costly projects. Some of the Ivanti software benefits are its wide out-of-box functionality, prebuilt integrations, innovate development, and quick implementation. However, one that quickly comes to mind is the reporting capabilities. With any software purchase, organizations can take advantage of Xtraction. With this powerful BI solution, companies can unify their IT data in minutes. When you wrestle separate IT systems and cross-reference data manually, all for one report., it wastes time and resources. But there’s a better way with Xtraction—the self-service, real-time dashboard reporting software. Xtraction consolidates data from multiple sources and tools and presents it in one place. Pre-built data connectors mean no coding, no BI gurus, and definitely no spreadsheets. View your data in context and make smarter, faster decisions with ease. Michael Durrant is a technology professional with a passion for helping others become successful in solving their IT problems. At a young age, technology became his focus, therefore he relocated to New York City to pursue an Electrical Engineering Degree. As a technology consultant in NYC, he had many opportunities to help organizations with mergers and solution implementations.